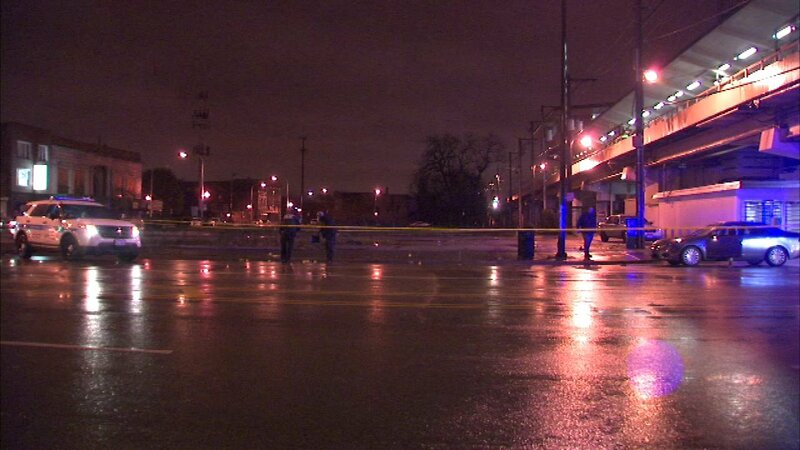 CHICAGO (WLS) -- A fight on Chicago's South Side turned deadly after a man was hit in the head with a bottle. Police said a 41-year-old man was found around 6:35 p.m. Monday with wounds on his head near West 63rd Street and South Ashland Avenue in the city's Englewood neighborhood. The victim was taken in critical condition to Stroger Hospital, where he died at 7:13 p.m., according to the Cook County Medical Examiner's Office. His identity has not been released. The medical examiner's office said his death was ruled a homicide. An autopsy found he died of multiple injuries of the head from an assault with a bottle.